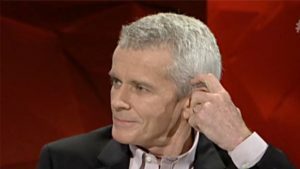 New One Nation Senator Malcolm Roberts has been known to sign legal documents as ‘Malcolm-Ieuan: Roberts., the living soul’, representing a corporate entity known as MALCOLM IEUAN ROBERTS. In a document entitled ‘FIAT JUSTITIA, RUAT COELUM‘, addressed to the then Prime Minister Julia Gillard, Roberts demanded to be exempted from the ‘carbon tax’ and compensated $280,000 if the Prime Minister did not provide full and accurate disclosure in relation to 28 points explaining why he should not be liable to the tax. He addressed Gillard as ‘The Woman, Julia-Eileen: Gillard., acting as The Honourable JULIA EILEEN GILLARD’, Prime Minister of Australia. Where does this rubbish come from? Apparently it’s not as rarefied as you may think. A Canadian judge, JD Rooke, has waded his way through voluminous documents generated by litigants like Malcolm Roberts and written a definitive ‘Guide to the Organized Pseudolegal Commercial Argument‘ (OPCA). It may come as no surprise that most of this stuff comes from the United States, but Canada and now Australia have their fair share. Rooke says in his introduction to the Guide that he has developed a new awareness and understanding of a category of vexatious litigant, variously called Detaxers, Freemen, Sovereign Citizens, the Church of the Ecumenical Redemption International, Moorish Law and other labels. Litigants use a range of techniques promoted and sold by certain ‘gurus’ to disrupt court operations and attempt to frustrate the legal rights of governments, corporations, and individuals. Freemen on the land believe they can opt out of being governed; that what people understand to be laws are merely a form of contract that applies only if people agree to it. Sovereign citizens believe that natural citizens are not subject to any US Federal law; many believe only white men have rights because they don’t accept the validity of amendments to the US Constitution, in particular the thirteenth, which abolished slavery, and the nineteenth, which gave women the vote. Drawing on a particular case study (Meads v Meads), Rooke documents these OPCA techniques. He concludes that persons using the techniques ‘often hold highly conspiratorial perspectives’, believe that ordinary people have been ‘unfairly cheated, or deceived as to their rights’ and that they have the right to try to break ‘the system’ and retaliate against ‘their oppressors’. How do people get to know about these techniques? The answer is that they buy them; from the equivalent of modern snake-oil conmen, who take advantage of naive, angry men (and they are usually men), convincing them their anger is justified and if they would only buy the package on offer, they could reassert control of their lives. Rooke lists the main North American perpetrators: Russell Porisky, David Kevin Lindsay, John Ruiz Dempsey, Robert Arthur Menard, Eldon Gerald Warman, David J Lavigne, Edward Jay Robin Belanger, David Wynn Miller. It seems Malcolm Roberts had at least a couple of gurus: Lavigne and Miller. Lavigne promotes the argument that a person need not pay tax on a moral or conscience basis. Miller advocates a bizarre form of ‘legal grammar’ which is legally incomprehensible. Neither is Australia immune. Sydney-based Frank O’Collins is an OPCA guru, promoting a new code of law he calls ‘Divine Canon Law‘ which he claims trumps both common law and statute law. His ‘Unique Collective Awareness of DIA’ (UCADIA) represents a ‘spiritual and legal presence, a structure of knowledge and a language of pure meaning’. He refers to his critics as ‘skeptics, disinformation agents and mentally ill supporters of the parasitoids’. While Rooke concludes that all OPCA strategies are invalid, being vexatious, he warns that ‘members of the OPCA community have proven violent‘, particularly those from the sovereign citizen movement. A 2014 survey of perceived terrorism threats in the US listed sovereign citizens ahead of Islamic extremists and racist skinheads. What the hell goes on in these people’s minds?